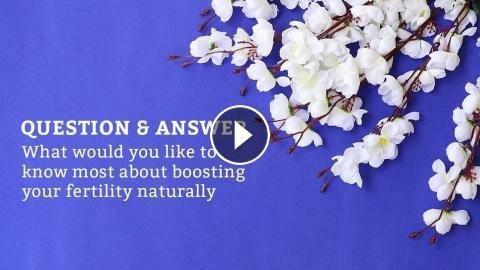 ﻿ Q&A: What would you like to know most about boosting your fertility naturally? Q&A: What would you like to know most about boosting your fertility naturally? Feel free to listen in and learn from others questions, or ask us the questions weighing on your mind in the comments below. We have Natural Fertility Specialists on staff to help answer questions you may have about product choices and use, as well as the fertility health issues you are battling. We also offer online Fertility Consultations if you’re in need of additional one-to-one support or a personalized program suggested for you. How may we offer support?